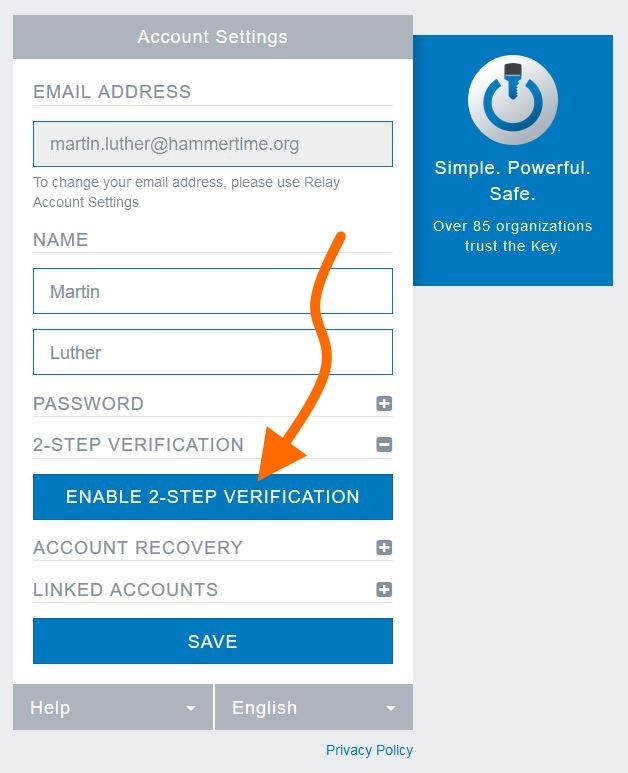 To setup 2-Step Verification for The Key, follow these simple steps. 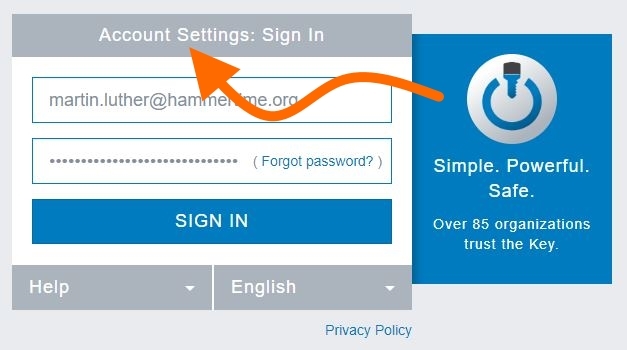 On your computer, when presented with the sign in page, click the Account button instead of Sign In. 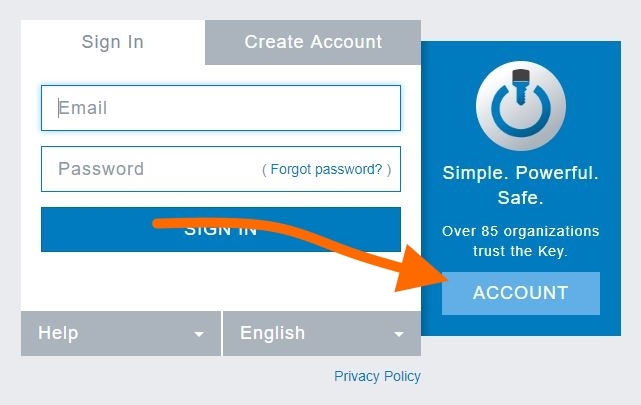 Log into your Account Settings with your current email and password. Expand the "2-Step Verification" section and click Enable 2-Step Verification. Follow the prompts on the "Setup 2-Step Verification" screen to install the Google Authenticator app on your mobile device. If you don't have a mobile device capable of using Google Authenticator, try using Authy Desktop instead. On your mobile device, use the Google Authenticator app to scan the QR Code displayed by The Key. 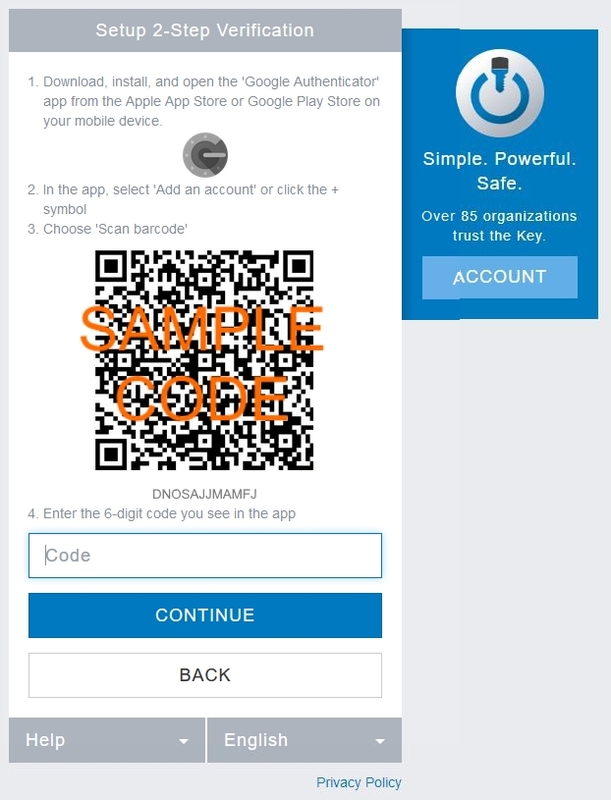 The Google Authenticator app will generate a 6-digit time-based code on your mobile device. Type that code into The Key in the blank provided. 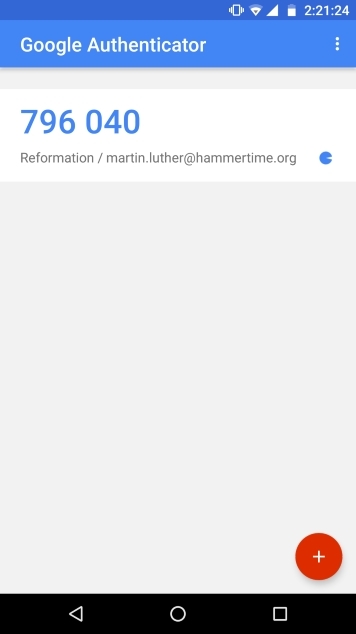 Once setup, the Google Authenticator app needs no internet connection to generate a time-based code.